Contact us via the information below, or stop in our showroom to take a look at our high quality products! If you’re looking for a professional, reliable Troy heating and cooling company, you’ve come to the right place. 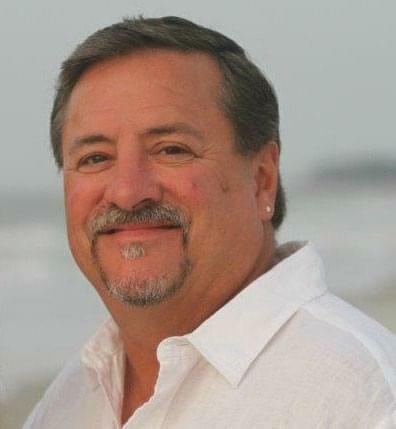 Our family-owned and operated business has been serving the heating and cooling needs of Troy and the greater St. Louis area for more than 30 years and is proud to treat our customers like family. That means if you’re without heat in the winter, we will take your call anytime day or night and can have a qualified, knowledgeable service technician to your home or office same-day when necessary. 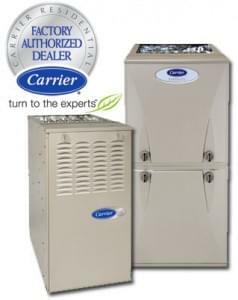 Give us a call and find out about our services and soon you’ll understand why our customers call us the best furnace repair company in Troy, MO! The pilot light – Is it still lit? A pilot light should burn blue, if it’s more orange in color it’s burning too hot. You may see a little yellow near the tip and that is normal. If it isn’t blue or it isn’t lit, you have a problem. Of course, if it isn’t lit you may just need to relight it. The thermostat – Is your furnace not turning on at all? Is it cycling on and off quickly? Does your house feel a lot colder than your thermostat says it is? If your thermostat is malfunctioning, your furnace won’t work properly. The electrical system – Is your heater getting proper power? Is your thermostat getting power? You may have blown a circuit or a fuse that is impacting your heaters ability to work. 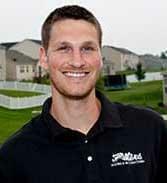 Peters Heating and Cooling has been air conditioning Troy MO homes for decades and we take your comfort seriously. Whether you need regular maintenance, a simple tune-up, more extensive repair services, or even want to discuss upgrading your system, we can help. Our trained and certified technicians can assist with your residential or commercial cooling needs and are happy to answer any questions you may have along the way. 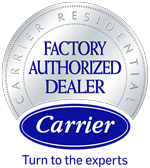 We are proud to be a Carrier Factory Authorized Dealer and we can help you upgrade to a product that fits your unique needs. 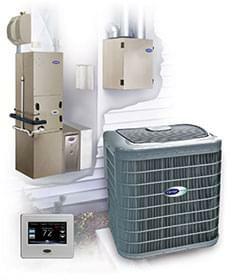 Our goal is to keep your family cool and comfortable during the cooling season. From geothermal products to fireplaces, we are your full-service home comfort specialists. 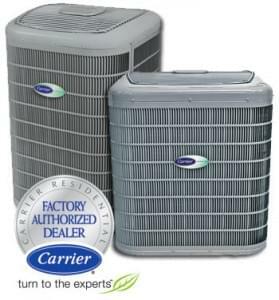 Are you considering upgrading your old Troy air conditioning system to a new high-efficiency model? Your air conditioning system is one of the most used elements of your home and even a slight decline in efficiency can impact your utility bill. Just think that each year your efficiency levels decline just a bit and potentially even more if your system isn’t maintained properly. After 10 years, you have lost a lot of your original efficiency and your system is starting to cost you more just to keep your home cool. Let us help you find a new system that meets your needs! 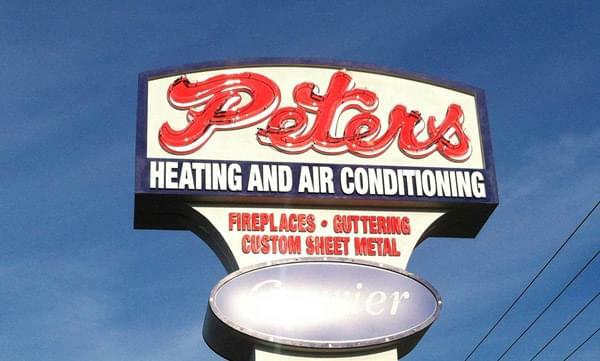 Peters Heating & Air Conditioning in Troy, MO is proud to maintain a location and expert staff to assist customers in Troy, Missouri & the greater St. Louis area. As your full-service heating and cooling company in Troy, you can count on us to serve your residential and commercial indoor comfort needs, in addition to offering custom gutters and fireplace installation! 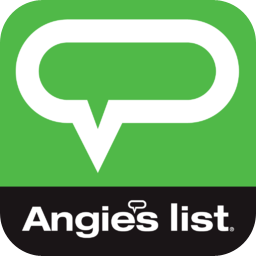 Give us a call if you have any questions about our service offerings, rates, and maintenance plans. We want all our customers to be comfortable during a Troy, Missouri summer, so if you need AC repair in Troy, give us a call today!